Through quantum chemical calculations, molecular orbital and electron density difference analyses were performed. From the perspective of the Hellman-Feynman electrostatic theorem, multi-center bond is strictly defined. Multi-center bonds are also the binding forces caused by the sharing of electrons between atoms. Some formal multi-center bonds are discussed. Levine, I.N., 著. 量子化学[M]. 宁世光, 余敬曾, 刘尚长, 译. 北京: 人民教育出版社, 1981. 周光耀. 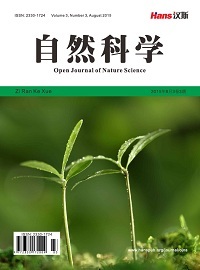 化学键的量子化学研究(一) [J]. 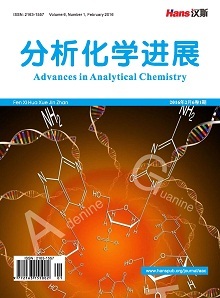 物理化学进展, 2018, 7(1): 9-18. Frisch, M.J., Trucks, G.W., Schlegel, H.B., Scuseria, G.E., Robb, M.A., Cheeseman, J.R., Scalmani, G., Barone, V., Petersson, G.A., Nakatsuji, H., Li, X., Caricato, M., Marenich, A.V., Bloino, J., Janesko, B.G., Gomperts, R., Mennucci, B., Hratchian, H.P., Ortiz, J.V., Izmaylov, A.F., Sonnenberg, J.L., Williams-Young, D., Ding, F., Lip-parini, F., Egidi, F., Goings, J., Peng, B., Petrone, A., Henderson, T., Ranasinghe, D., Zakrzewski, V.G., Gao, J., Rega, N., Zheng, G., Liang, W., Hada, M., Ehara, M., Toyota, K., Fukuda, R., Hasegawa, J., Ishida, M., Nakajima, T., Honda, Y., Kitao, O., Nakai, H., Vreven, T., Throssell, K., Montgomery, Jr., J.A., Peralta, J.E., Ogliaro, F., Bearpark, M.J., Heyd, J.J., Brothers, E.N., Kudin, K.N., Staroverov, V.N., Keith, T.A., Kobayashi, R., Normand, J., Raghavachari, K., Rendell, A.P., Burant, J.C., Iyengar, S.S., Tomasi, J., Cossi, M., Millam, J.M., Klene, M., Adamo, C., Cammi, R., Ochterski, J.W., Martin, R.L., Morokuma, K., Farkas, O., Foresman, J.B. and Fox, D.J. (2016) Gaussian 16, Revision A. 03. Gaussian, Inc., Wallingford CT.
 Lu, T. and Chen, F.W. (2012) Multiwfn: A Multifunctional Wavefunction Analyzer. 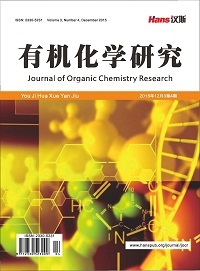 Journal of Computational Chemistry, 33, 580-592. 王紫薇. 高压下铍–氢和氯–氢化合物的结构与物性[D]: [博士学位论文]. 长春: 吉林大学, 2015. Chai, J.-D. and Head-Gordon, M. (2008) Long-Range Corrected Hybrid Density Functionals with Damped Atom-Atom Dispersion Corrections. Physical Chemistry Chemical Physics, 10, 6615-6620. Zubarev, D.Y. and Boldyrev, A.I. (2008) Developing Paradigms of Chemical Bonding: Adaptive Natural Density Partitioning. Physical Chemistry Chemical Physics: PCCP, 10, 5207-5217. Grimme, S. (2006) Semiempirical Hybrid Density Functional with Perturbative Sec-ond-Order Correlation. 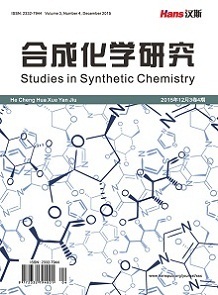 The Journal of Chemical Physics, 124, Article ID: 034108. Weht, R.O., Kohanoff, J., Estrin, D.A. and Chakravarty, C. (1998) An Ab Initio Path Integral Monte Carlo Simulation Method for Molecules and Clusters: Application to Li4 and Li5+. Journal of Chemical Physics, 108, 8848-8858. King, RB. (2003) Metal Cluster Topology. 21. Sigma Aromaticity in Triangular Metal Carbonyl Clusters. Inorganica Chimica Acta, 350, 126-130. 阎世英, 马美仲, 朱正和. B2 H6分子的几何构型[J]. 物理学报, 2005(54): 3106-3110. 武海顺, 潘道暟, 周伟良. B3H7和B3H9分子中多中心键的研究[J]. 南京理工大学学报, 1994(3): 1-6. 刘亨, 杜奇石, 孙玉彬, 王树青. 四聚甲基锂Li4(CH3)4的电子结构的量子化学研究[J]. 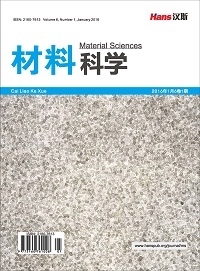 天津师范大学学报(自然科学版), 2004, 24(2): 9-11. Cremer, D. (1988) Pros and Cons of σ-Aromaticity. Tetrahedron, 44, 7427-7457. Dewar, M.J.S. and Pettit, R. (1954) A Molecular-Orbital Theory of Or-ganic Chemistry. Part VII. The Additivity of Bond Energies in Unconjugated Systems. Journal of the Chemical Society, 74, 1625-1634. 陈姝璇, 陈秀梅, 吕鑫. 乙硼烷及其同系物的σ芳香性[J]. 厦门大学学报(自然科学版), 2016, 55(3): 305-308.